Retail propane experience links four new hall of fame inductees. 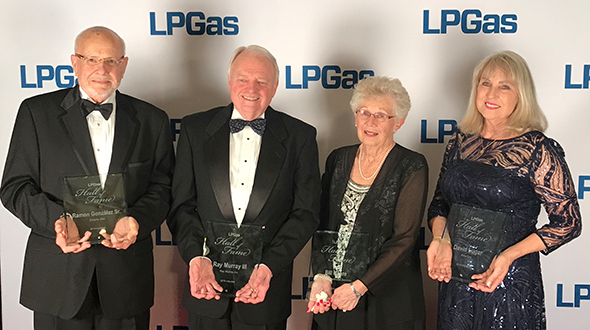 Four propane retailers with a strong desire to contribute at the state, national and international levels of the industry have been selected for the LP Gas Hall of Fame. James E. Bertelsmeyer of Heritage Propane, Stewart Kean of Utility Propane Co. and the World LPG Association, Glenn Miller of Miller’s Bottled Gas and Charles Revere of Revere Gas will become members of the 2015 class. 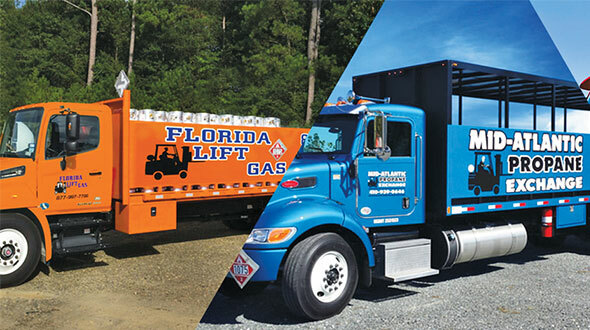 LP Gas and the industry will honor the inductees April 10, 2015, during a black-tie induction dinner and ceremony in Atlanta, prior to the National Propane Gas Association’s (NPGA) Southeastern Convention & International Propane Expo. 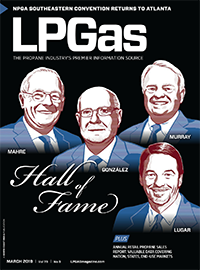 The four-member class will mark the fourth year of the LP Gas Hall of Fame, which launched in propane’s centennial year of 2012 as a way to honor past and present leaders who helped establish, advance and grow the industry. It brings the total number of hall of fame inductees to 24. Tickets for the event are now on sale at lpgashalloffame.eventbrite.com. Click here for more information about the hall of fame, its past inductees and a video from the 2014 event in Atlanta. Some say Bertelsmeyer, a 40-year veteran of the propane industry, wrote the book on how to build a “company of companies” through acquisitions. He founded Heritage Propane in 1989 and helped take it public in 1996. 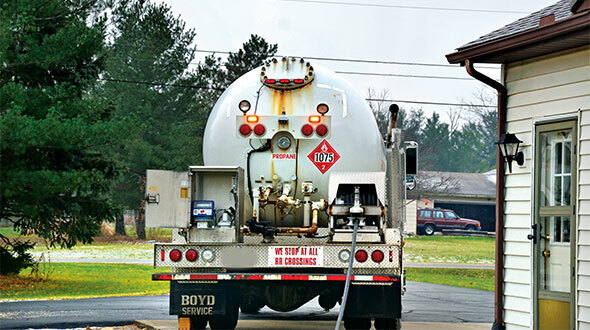 The retail propane operation grew to become the third largest in the United States, but the process of how it acquired more than 175 companies became notable. Acquired companies retained their original name and many of their employees. Heritage also implemented an efficient pushdown management style, leaving a majority of operational decisions in the field. This led to strong customer retention. As a former president of the NPGA board, Bertelsmeyer led a successful grassroots effort against risk management regulations proposed by the federal government. Bertelsmeyer held positions with Conoco and Buckeye Gas Products before becoming president of Buckeye Gas. He also served a term on the Propane Education & Research Council (PERC). Kean, former president of Utility Propane Co. in Elizabeth, N.J., was instrumental in the 1987 creation of the World LP Gas Forum, an organization that became the World LPG Association. Kean led a movement to form the organization along with Irish retailer Denis Shelly of Calor Gas. The two envisioned bringing the worldwide industry together each year to share best practices and discuss ways to grow globally. Kean served as the first president of the World LP Gas Forum. He was a leader on the national front, as well, serving as National LP-Gas Association (NLPGA) president during its 1981-82 term. Kean began his career in the gas industry with the Brooklyn Union Gas Co. 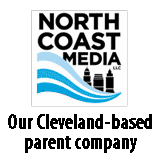 He joined the Elizabethtown Gas Co. in 1960 and was named president of Utility Propane when National Utilities & Industries Corp., the parent company of Elizabethtown Gas, entered the propane industry in 1969. Kean died in 2002 at the age of 68. Miller, who is unafraid to take on political issues that impact the propane industry, played an instrumental role in the grassroots effort to create PERC. Miller owns Miller’s Bottled Gas in Bowling Green, Ky., and has lobbied at both the national and state levels for decades. He also rallied support across the industry for PERC when few people thought the formation of such an organization was feasible. Miller served as PERC’s founding vice chairman and later pressed the state of Kentucky to pass legislation founding the Kentucky PERC. Miller’s work as an industry lobbyist began with his effort to repeal mandatory price controls with Pargas’ Bill Hill. Miller later pressured Kentucky’s state legislature to exempt propane motor fuel from road taxes, and he fought against government-subsidized rural electric cooperatives from entering the propane industry. His leadership at the state level on that matter resulted in a Kentucky Supreme Court decision against rural electric co-ops. 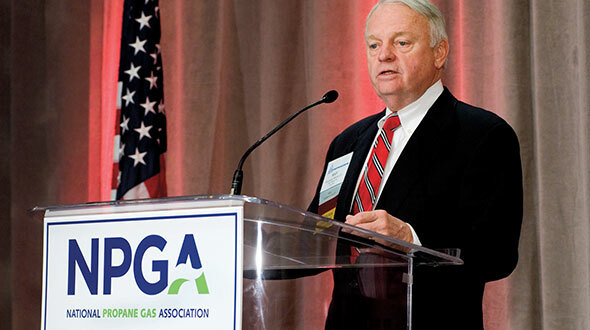 Revere, president of the third-generation Virginia company, was selected for LP Gas Hall of Fame honors in the same year that he won the NPGA’s Distinguished Service Award. Revere has been an effective industry spokesperson for more than 50 years. He played a pivotal role in the negotiated rulemaking with the Department of Transportation (DOT) on excess flow protection regulations in 1997. The final rule was less onerous than originally proposed, and the DOT gave the industry ample time to comply. His work on the rule also helped to increase industry safety. As NPGA board president in 1999 and 2000, Revere pushed marketer participation, encouraging them to share their views during meetings. He also helped to improve the relationship between NPGA and PERC, serving a stint on the council from 2004-08. Revere has also contributed at the state level, serving stints as president and director of the Virginia Propane Gas Association.